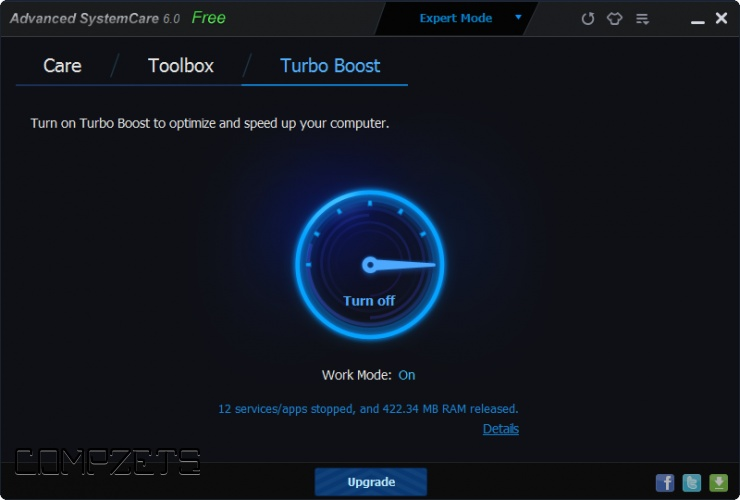 This program completely fixes your slow PC in seconds. It speeds up your PC as if you have done a fresh install of your operating system. 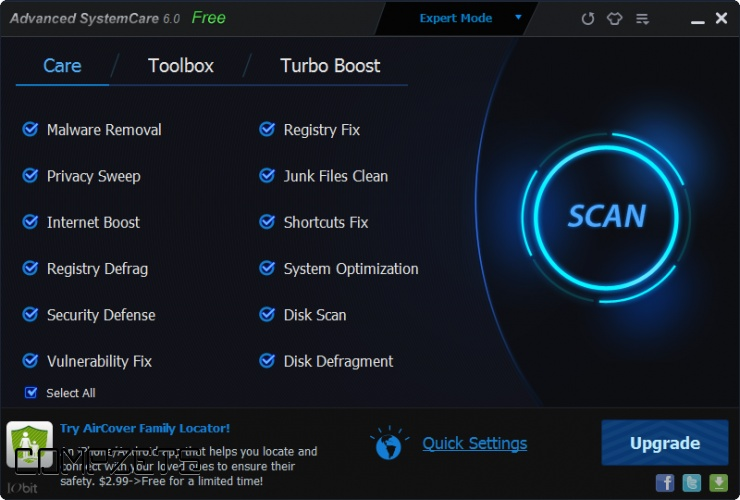 Advanced SystemCare Free takes a one-click approach to protect, repair, clean, and optimize your PC. 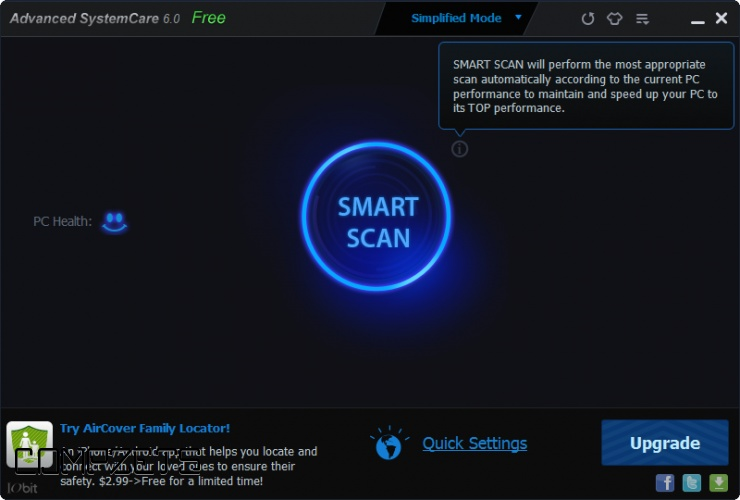 With over 150 MILLION downloads since 2006, this fantastic, award-winning, free PC repair software is a "must-have" tool for your computer. It's easy to use and 100% safe with no adware, spyware, or viruses. 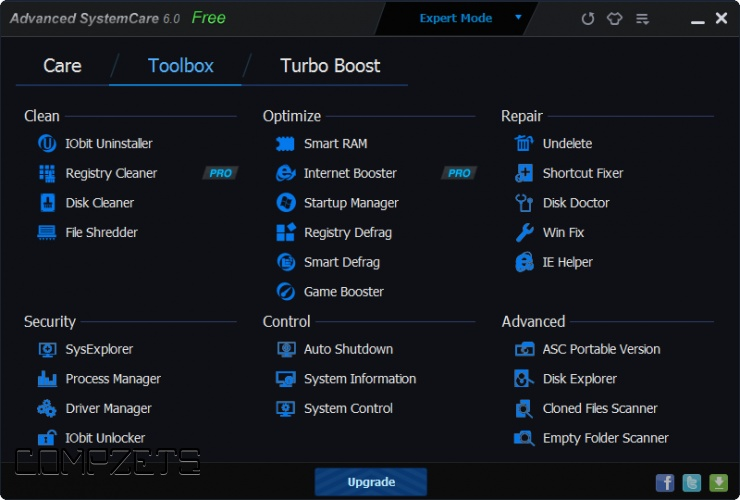 Why waste money on expensive "registry cleaners" to fix your PC when Advanced SystemCare Free can repair, tune up, and maintain it for you – for FREE!